In a controversial exposure, well-known journalist Shekhar Gupta has said that roots of the RSS-BJP's alleged “Hindu-isation gameplan” in Arunachal Pradesh – cited in the wake of the recent imposition of President’s rule in the state – can be found in “Jawaharlal Nehru's Hindi-isation policy” in what was once known as North East Frontier Province (NEFA). 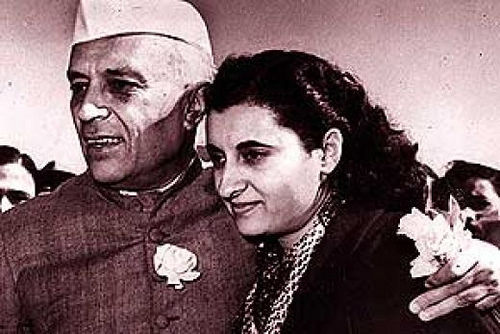 Pointing out that Nehru was "paranoid about the Chinese in NEFA”, wondering what would happen if the “China-backed separatist virus of Nagaland reached NEFA”, Gupta says in a recent article, the first Prime Minister of India was also “deeply upset” by the activities of the Christian missionaries in the North-East. This led Nehru to decide on keeping Christian evangelists out of what was to be renamed Arunachal Pradesh”, says Gupta, adding, “Its tribes were brought into the national, and nationalist, mainstream through Hindi-medium education” – in sharp contrast to English medium in other parts of North East. In fact, one of the points of criticism of the RSS-BJP against the toppled Arunachal Pradesh chief minister Nabam Tuki has been that, though belonging to Nyishi tribe, he is “rare Arunachali convert to Christianity”, says Gupta. In fact, says Gupta, Arunachal Pradesh has always been an eye-sore for other North-Eastern states. Pointing towards protests by the Church in the region, he adds, the Nagaland state assembly took the unusual step of adopting a resolution against the anti-conversion law of Arunachal Pradesh.